Fees at national parks across the United States may be going up in May, but that doesn't mean you won't have opportunities to enjoy America's best idea on the cheap. On January 15, for Martin Luther King Jr. Day, the nation's national parks will be free for all visitors. Every park that charges will open its doors and give you the opportunity to see what these spaces are worth preserving. This is one of four days US national parks will be free in 2018. Martin Luther King Jr. Day is the first of those four freebies, with others coming on April 21 for the start of National Park Week, September 22 for National Public Lands Day, and November 11 for Veterans Day. It's worth noting that many national parks are free every day, and it's worth seeing how things work at the parks nearest you. The waived fees cover admission to the park. (Admission is usually a pretty good deal. One admission covers as many people as you can get in a car.) Fees for activities like camping, tours, and transportation around the park will still be in place as usual. 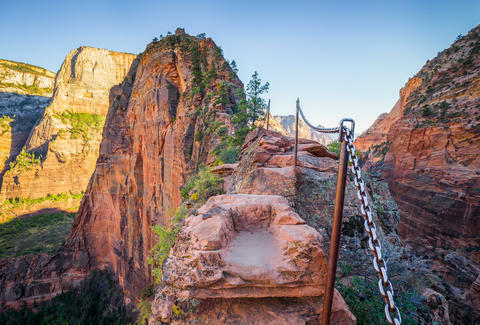 See a full list of participating parks like Zion, Arches, Badlands, and Crater Lake at the NPS website.